When you are in author mode there are three tabs on the top right when you're inside a guideline: References, Evidence Profiles and Recommendations. You always start in Evidence profile view, but you can easily get to the other views by clicking on the tabs. 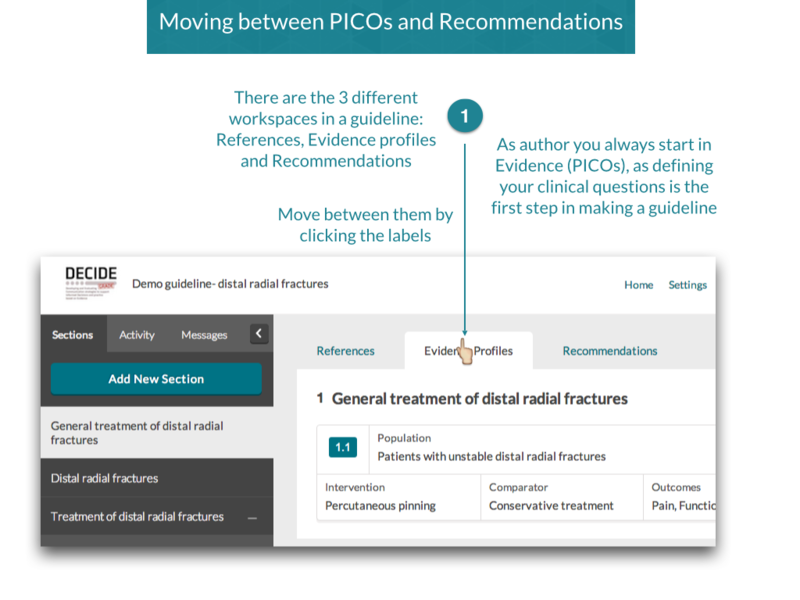 When you are in 'Evidence Profiles' you can add and edit the PICO and Evidence profiles.